Good in good dust jacket. Ex Library Book with usual stamps and stickers. Good Clean Condition Book. Jacket Condition: Good. Good condition is defined as: a copy that has been read but remains in clean condition. All of the pages are intact and the cover is intact and the spine may show signs of wear. The book may have minor markings which are not specifically mentioned. Most items will be dispatched the same or the next working day. Very Good. 0689818769 ALL BOOKS SHIPPED WITHIN 1 DAY OF PURCHASE! Very Good. When he decides to turn his fifth grade teacher's love of the dictionary around on her, clever Nick Allen invents a new word and begins a chain of events that quickly moves beyond his control. 128 p. Intended for a juvenile audience. What happens when an exceptional student meets an exceptional teacher? An exciting journey for both, usually. This is exactly what happens in Frindle, by Andrew Clement. Nick Allen is a very good, if not ambitious, student. Mrs Granger is a no-nonsense veteran teacher whose specialty is the dictionary. Nick's attempts to sidetrack her result in more work for him. He decides to annoy her with a new word for pen, frindle, Soon, everyone is in on the game. Mrs Granger is predictably upset and disciplines anyone using the word. The situation snowballs, but in the end, Nick triumphs. So does Mrs. Granger. Andrew Clements has written an enjoyable book for middle-grade students. His main character, Nick, is alive and plotting in classrooms everywhere. The black and white illustrations by Brian Selznick reinforce his regular guy image. Mrs Granger is also familiar. She represents the strict teacher associated with the more challenging lessons of middle school. Through them, the author presents several themes. The most obvious is the power of words. One boy is able to change the name of an everyday item. The responsibilty and cost of leadership is, also, illustrated. Nick changes from a prankster to a boy who carefully considers the consequences of his actions. He uses his skills for positive change, not just amusement. Finally, a gentle lesson about prejudice is presented. Nick thinks he knows Mrs. Granger.But, he will learn that she was not his opponet; She was his best ally. 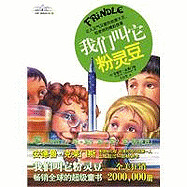 Frindle is book that will be as eagerly read by students today, as it was when first published in 1996. It stands the test of time as a good story should.